Turn to the experts at Cecil College for the workforce and business development programs you need to grow your business. Let's work together—replacing obstacles with business-improvement solutions. Cecil College offers a wide range of resources. 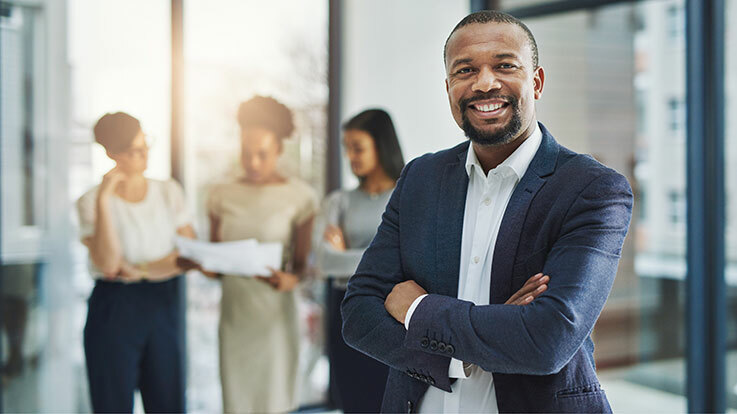 We offer solutions in design and delivery that focus on the way you want to do business and leadership programs to expand growth opportunities for your rising stars. Do you and your employees need to upgrade skills for expanded job responsibilities? Are rising stars getting opportunities on the job and outside of work that will give them the leadership skills they'll need in the future? Are high performers held back by a lack of a diploma or	English language skills? We can offer you and your employees a range of personal and professional growth programs. Convenient schedules and always affordable. Make us your training partner. And don't forget to look at our online options. Our programs are tailored to your business needs and include customized learning outcomes, exercises, locations, and scheduling—early morning, mid-day, evening, or week-ends. Fill out the application for the Class of 2019. The Cecil Leadership Institute provides a framework where existing and emerging leaders in business, government, and tourism engage, collaborate, and commit to Cecil County's ongoing development. This unique learning opportunity exposes you to diverse perspectives on issues affecting growth and prosperity. Join the network of leaders who are building the future. Develop and advance your leadership skills. Meet key thought leaders in Cecil County and learn their management styles. Practice critical thinking skills and collaboration. Engage in corporate social responsibility by planning and executing a community service project. Become part of a vast network of more than 450 Cecil Leadership Institute graduates. The Class of 2019 will begin in February and meet on consecutive Thursdays through May. The Institute sessions will be held at various businesses and organizations throughout Cecil County. The program will also include a service project that the class will plan and execute. Apply Now! Participants should complete and submit the application by January 22, 2019. Cecil Business Resource Partners helps you find the answers to who can help you grow your business. Cecil County's non-profit organizations have joined together to share information about free resources for small businesses. The goal is to cut the red tape and direct individuals to the services available to Cecil County businesses.